Whilst I understand your point once word got out about the appalling behaviour of this particualr driver Parnham's reputation will have been shot to bits and parents would not trust them to transport their children. The two county councils probably had little choice other than to terminte their contracts as the statement below suggests. Of course I feel for the other drivers and staff though. Shoreys Travel currently operate 5 school routes and it is said that they are still undecided who they will go to. Rotala have announced in a staff notice that they are closing their Wessex operation. 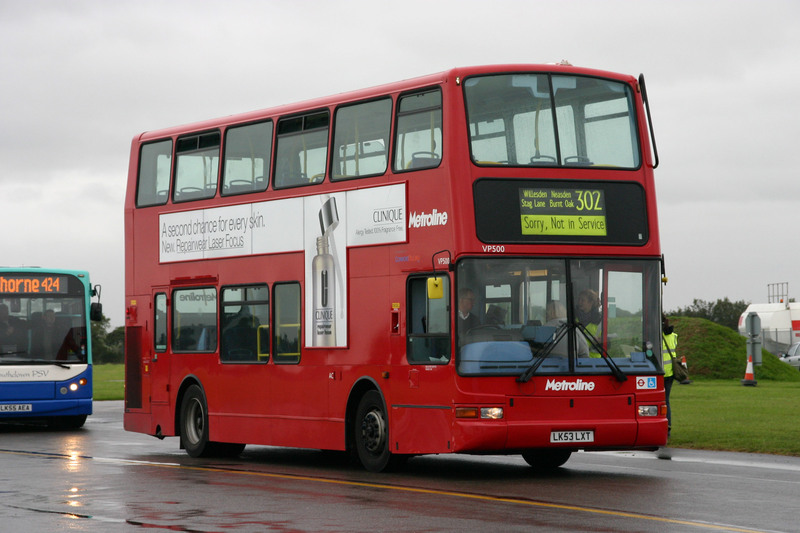 The following routes are being withdrawn due to it “no longer being viable viable for the local authority”. I’m not sure what is happening with the Avonmouth Industrial Estate “Buzz” service, but I have heard that their Bicester Village operation will transfer to Rotala’s Hallmark company. Staff will TUPE to Stagecoach. Goodness that's a surprise given they've stuck with their Bristol ops for a long while. I wonder if the variation between term and non term time service levels made it difficult to resource the operation. Unless I am missing something that's quite a move for Stagecoach isn't it? They don't really have any base in Bath or Bristol so this is a new strategy for them. I think if I was First Group I might suddenly be a little bit worried about my rather lucrative network in Bristol. I made the same point on another forum a few months ago ( i.e. before Rotala's closure notice) about possible Stagecoach incursion into Bristol, but those 'in the know' from the area thought it unlikely to happen. I then asked the question ''if it happened could they disturb First's monopoly, or, at least, their composure?'' but I didn't really get an answer. Some bus enthusiasts in the area are EXTREMELY pro-First, it has to be said. First do seem to have the ear of the local authority, though, and maybe the Mayor too. It's a strange place, Bristol, as one who went to university there! Well the first bits of the "Metrobus" scheme is now running with segregated bus ways and bus priority. Not sure if use of the infrastructure is controlled but it could be enough to tempt Stagecoach if they can provide the right spec vehicles (unlikely to be an issue) and find the right market niche. I have tried to research getting round Bristol to do the "Gromit trail" - big models of Gromit and other characters in custom designs. To say it is was extremely frustrating trying to get round the conurbation by bus *on paper* is an understatement. God knows what the reality would be like with Bristol's notorious traffic jams. In the end I had to give up my plan as it simply wasn't feasible 2 or 3 years ago. There's another trail on now but the locations are so widely scattered there's not a cat in hell's chance of doing it by public transport so I've decided not to bother. Well done Bristol - tourism lost because your buses are cr*p.
EOS Buses ceased after 1st August. Most of work passed on to Arriva from that date. 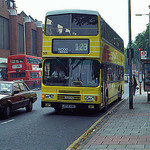 Shame that Eos Did work hard but it didn't go last long enough since Trustybus and Arriva running in the area. The Abellio Surrey brand will cease from 15th September when Falcon Coaches take over the 461 Kingston to Addlestone. Fairbrother, Warrington now join the ever growing list of ceased companies, it is due to hand its work over to Network Warrington as they have signed a deal with them. Not too surprised to see this company go however, considering the recent fire and the on going war between Network Warrington and Fairbrother, with Network Warrington inevitably winning, also Fairbrothers has had a few public enquiries in the past. However another operator saved from dead, Finches of Wigan, has been saved and has been granted a new operating license, and has registered some of its services again. Fairbrothers will be no loss though. They were just "skimming" Network Warrington's best services and the operation didn't look particularly "professional" when I saw it. Surprised they lasted as long as they did to be honest.